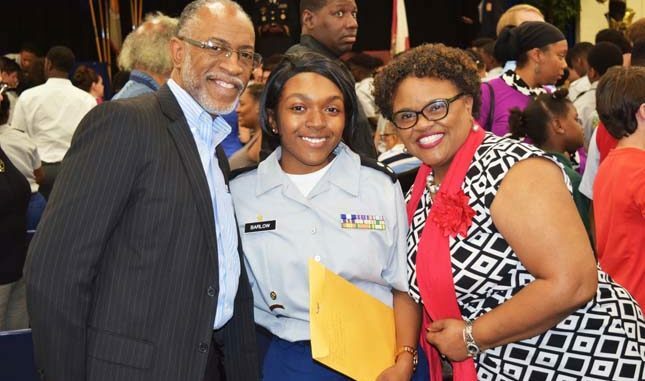 Paxon School for Advanced Studies 12th grade student Alanna Barlow and her parents Pastor/Attorney Wellington (left) and Cassandra (right)Barlow were all smiles as she received an award for her participation in the JROTC Program. 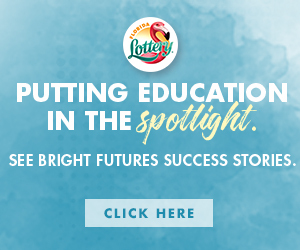 Alanna graduates in June and has received many honors for her academic proficiency and aptitude. Alanna’s awards include: National Honor Society and the National Society of High School Studies. Alanna is also Paxons 12th grade Sr. Class President. 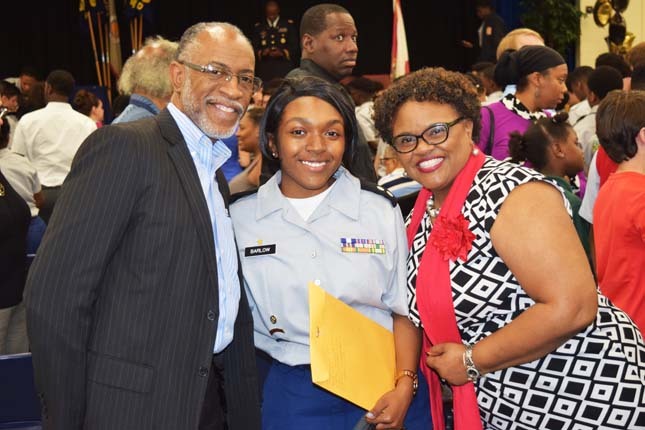 She will matriculate to Florida International University in the fall majoring in Interdisciplinary Studies.